"There is nothing wrong with being gay". 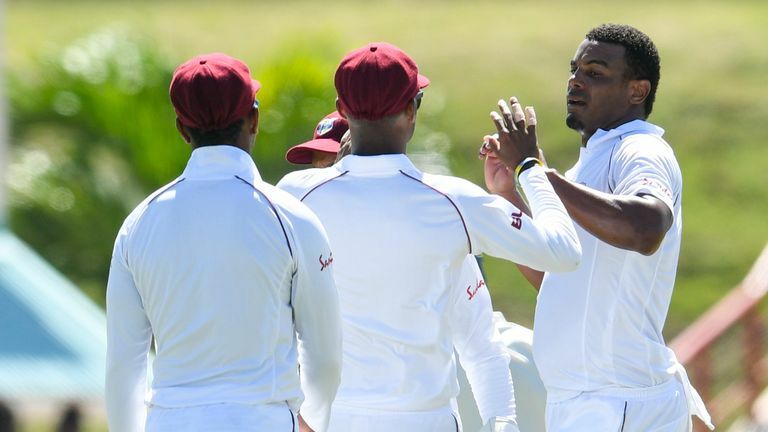 England captain Joe Root has drawn widespread praise for calling out West Indies bowler Shannon Gabriel after he allegedly made a homophobic slur. It has been noted that Gabriel's comments were not caught on the microphone and the ICC have effectively set a precedent for future charges relating to on-field exchanges between players. Article 2.13 of the ICC's code of conduct applies to use of "language of a personal, insulting, obscene and/or offensive nature". "The ICC have got to handle things and I am not in a position to comment but throughout the series it has been played in the right manner between the two sides". He was however spoken to by one of the on-field umpires about his language. "The charge, which was laid by match umpires, will now be dealt with by Match Referee Jeff Crowe", the governing body said in a statement on Tuesday. Gabriel's remark was not audible to television viewers but according to Sky Sports the England captain was heard replying to the bowler: "Don't use it as an insult. I know there are people who think the opposite and think it is good for the game but sometimes in the heat of battle things are said, when guys given a bit of time to sit down and think about it would give themselves a bit of a kick up the backside". Root said at the close that things said on the field "should stay on the field", but nevertheless received praise for his stance, including from United Kingdom equality charity Stonewall. Root, who finished the day on 111 not out, refused to divulge what Gabriel said when asked about the incident at the end of day's play, saying it should stay on the field. "I don't want anything said in the middle to ruin what's been a good Test series for him and his team", Root added. Davies said on her Twitter account.